In the beginning Man created God; and in the image of Man created he him. 2 And Man gave unto God a multitude of names, that he might be Lord over all the earth when it was suited to Man. 3 And on the seven millionth day Man rested and did lean heavily on his God and saw that it was good. 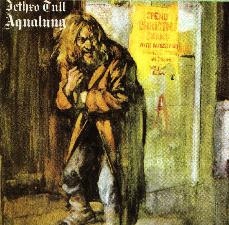 4 And Man formed Aqualung of the dust of the ground, and a host of others likened unto his kind. 5 And these lesser men Man did cast into the void. And some were burned; and some were put apart from their kind. 6 And Man became the God that he had created and with his miracles did rule over all the earth. 7 But as these things did come to pass, the Spirit that did cause Man to create his God lived on within all Men: even within Aqualung. 8 And Man saw it not. 9 But for Christ's sake he'd better start looking. locked Him in His golden cage. Him resurrected from the grave. If thats all that you can see. He's inside you and me. and the sins you used to waive. as to how he gets his kicks. all the gods that you can count. Αναρτήθηκε από www.dimitrelim.gr στις 10:38 μ.μ.